Should You Become a Professional Athlete? A professional athlete competes individually or as part of a team in organized sports including football, basketball, soccer, tennis, golf, running, skiing, hockey, rugby, gymnastics, figure skating, and baseball. He or she practices and trains regularly to improve his or her skills and performance. Very few athletes actually make it to the professional level. Those who do, reach this achievement only after years of playing school or club sports. Professional athletes earn a median annual salary of $47,710 (2016). Nearly 11,800 people are employed as professional athletes in 2014 (2016). More than half work in the spectator sports industry. The job outlook for professional athletes is good, according to the Bureau of Labor Statistics. The government agency predicts employment is expected to grow as fast as the average for all occupations through 2026. However, competition will be as fierce as always since more people want to become professional athletes than there are jobs available. 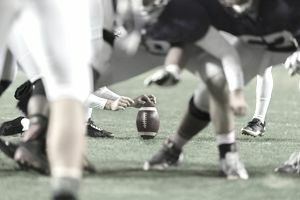 Athletes who compete in team sports, such as football, hockey, baseball or basketball, get their training by participating in high school, college, or club teams. Other athletes, including tennis players, golfers, swimmers, bicyclists, runners, and gymnasts, receive private or group lessons as part of their training. If you want to compete professionally, you will need superior skills, extensive training, and dedication to a particular sport. You will also need soft skills that you won't necessarily acquire through this training. Concentration: A strong ability to focus is essential. Decision Making: You must be able to make decisions in an instant while on the field or court. Hand-Eye Coordination: In many sports, you must have the ability to match your hand and eye movements. Physical Stamina: As an athlete, you will need the endurance to stay physically active for long periods. Expect to work when the public typically has the time to watch sports, for example, on weekends and holidays. Your work schedule will be unbalanced. Athletes train, travel, and compete extensively during the season for their sport but have a lot of downtime at other times of the year. For example, baseball players are very busy between March, when Spring Training begins, and October, when the Major League season ends. Professional athletes can sustain injuries that will end their careers. Have an alternative career to fall back on after you retire from your sport. You will get to "play" all the time: While it may seem like athletes earn money while having fun, they also dedicate a lot of time to training for their sport. A professional team will draft you: Most people who aspire to be professional athletes don't make it. Many who get drafted by minor league teams do not end up in the majors. You will make a lot of money: High profile players like Steph Curry have multi-million dollar contracts but his lesser-known teammates earn only a tiny fraction of that. You will be famous: Have you heard of Eli Manning? The New York Giants' quarterback is a household name. Now, do you know who Weston Richberg is? No? You're not alone. He was the team's center before signing with the San Francisco 49ers in 2018. As Manning's teammate, he was on the field whenever the quarterback was, but like most pros, he isn't famous. What Can You Do When You Retire? Even if an injury doesn't end your professional career, you won't be able to, nor will you want to, compete forever. Athletes retire at relatively young ages and most want to continue to stay active. Coach: Teaches amateur and professional athletes the fundamentals of a sport. Scout: Recruits players for school and professional teams. Fitness Trainer: Instructs people in exercise and related activities. Sports Announcer: Narrates games, provides commentary and interviews players. Sports Reporter: Delivers news stories about sporting events on television and radio news, online and in newspapers. Sources: Bureau of Labor Statistics, U.S. Department of Labor, Occupational Outlook Handbook; Employment and Training Administration, U.S. Department of Labor, O*NET Online (visited March 13, 2018).